Pure ingredients and the natural environment add to smooth and mellow character of our award-winning Tomintoul Speyside Glenlivet Single Malt Scotch Whisky, “the gentle dram”. 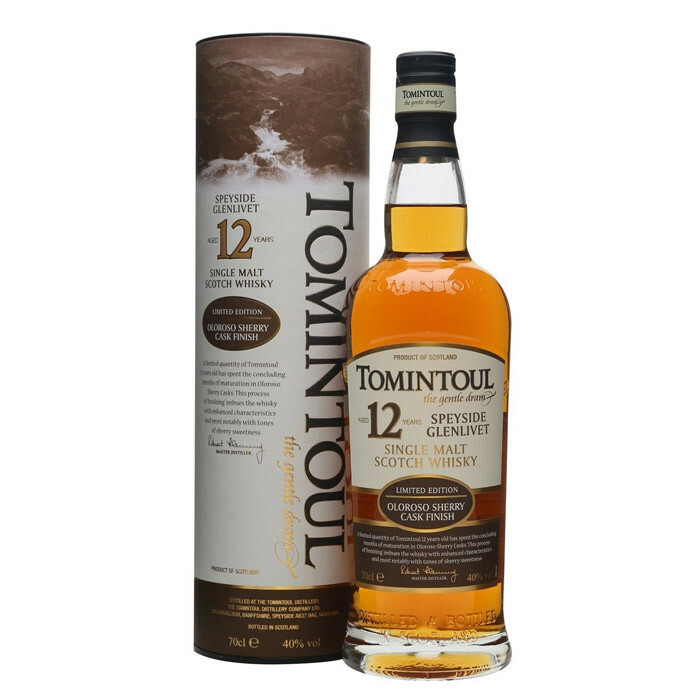 Tomintoul Speyside Glenlivet Oloroso Cask Finish Single Malt Scotch Whisky Aged 12 Years has been lovingly crafted, from a selection of the finest Oloroso sherry casks, and aged for at least 12 years. Nose: A cornucopia of complex aromas vanilla-icecream, almonds, raisins and the heady scent of a sherry bodega. Palate: Profoundly smooth oaky-fruit balance dovetailing with a structured layer of delicate sherry. Finish: Beguilingly soothing and mellow.